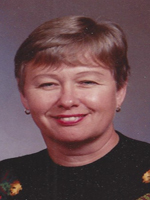 Pamela Jane “Pam” Moore, 76, passed away on Friday, December 21, 2018. Pam was born in Portsmouth, NH. She attended Chatham College in Pittsburgh, PA and graduated from Temple University with a degree in Mathematics. She moved to Newport News, VA in 1972 with her physician husband. Pam was a member and past president of the Newport News Medical Society Alliance and was part of their book club for 35 years. She was a charter member of the Alliance Support Group which was started to support various life issues. She was a Guild Member of the Virginia Living Museum and was the treasurer for many years of the Women’s Investment Group, WIGS. Pam was an avid tennis player and was a member of Centre Court. Most importantly, she was an extraordinary mother, who made her home everyone’s home. Pam was preceded in death by her parents, Ellis and Mary Jane Cox and her brother, Jeffrey Cox. She is survived by her devoted husband of 56 years, Dr. Patrick “Pat” D. Moore; her children, Tracey Grant and her husband, Evan, of Midlothian, VA, David Moore and his wife, Elizabeth, of Wilmington, DE and Kelly Buckley and her husband, Michael, of Midlothian, VA; her grandchildren, Connor, Morgan, Paidyn, Quinn, Phoebe and Eva. The family would like to thank her amazing and loyal friends, Liz and Charlie Umstott and Anne Edison. They would also like to thank Dr. John Mattern and the staff at Virginia Oncology Associates for caring for Pam with such kindness over 25 years. A Memorial Service will be held on Saturday, January 12, 2019 at 1:00 p.m. at Weymouth Funeral Home by Rev. Kathy Gray. A reception will follow at the funeral home following the service. In lieu of flowers, donations may be made to the Multiple Myeloma Research Foundation, themmrf.org. Arrangements by Weymouth Funeral Home.